BIRMINGHAM, AL (WBRC) - He greeted me with a smile and a few quick jokes. He then ushered me into his Tuscaloosa home, where he introduced me to his wife of 70 years. "Peggy was a majorette in high school", said Eddie Conyers, "I went over to watch her practice one day, she spotted me and she knew a good thing when she saw it." Eddie Conyers offered up a hearty chuckle, while Peggy rolled her eyes. I had a feeling that this happy couple was happy for a reason, as they were filled with laughter and wit. Eddie Conyers is an Alabama legend. He, perhaps, does not possess the name recognition of a Joe Namath or a Julio Jones, but those Bama greats certainly know and love Eddie. You see, this ninety-year-old has been the Alabama practice official since 1962, and in a few weeks, he will begin his 56th year of working practices, every day, heat or cold, rain or shine. Conyers was 34 years old when Coach Bryant asked him to help with practice- you see, the coach thought that having an official at practice to call penalties during scrimmages would be more effective than trying to figure out those calls himself. So onto the field walked Eddie Conyers, and nearly six decades later, he's still going strong. Talking with Eddie is like talking with a cross between an encyclopedia and Don Rickles: Inside his brain are years of knowledge, and he passes along that knowledge with a sharp wit. The toughest Alabama football player Eddie has seen at practice? Ray Perkins, with Jerry Duncan a close second. The best Alabama player he's ever seen at practice? Ozzie Newsome, with David Palmer his runner-up. The most talented coach? Eddie told me, "That's hard to say. Coach Bryant could take 3-stars and turn them into 5-stars. 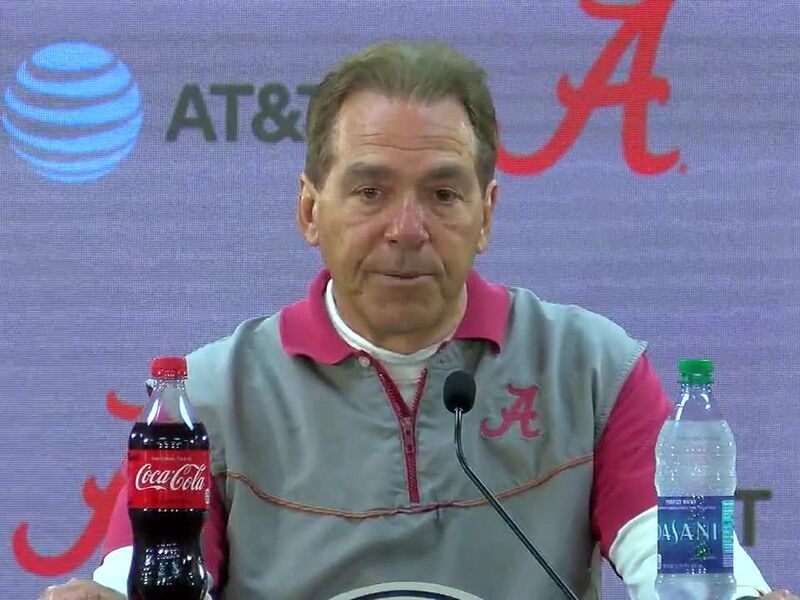 Coach Stallings just lined them up to see who manned up, and Coach Saban is the most organized man I have ever met- his recruiting is unmatched." What do the Bama coaches and players think of their practice official? Eddie told me, "Well, I can tell you that once Coach Saban told me that I was the second best football official in the world- everyone else is tied for first." That, my friend, is Eddie Conyers, who is looking forward to another year of being one of the guys. Next January Eddie and Peggy will celebrate their 71st wedding anniversary. Says Eddie, "It's been a fun ride for me and her - she's a lucky woman. It just took her awhile to realize what she had." With that, Eddie and Peggy laughed as they held hands- and their grip suddenly became a bit tighter.